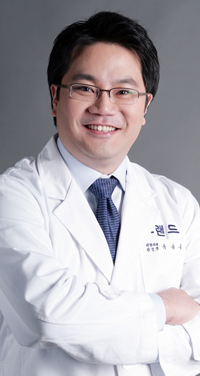 Dr. Ryu Sang-Wook, medical director of Grand Plastic Surgery Clinic, talks to The Seoul Times in an interview held recently. South Koreans undergo plastic surgery more than any other people in the world according to a recent study of the International Society of Aesthetic Plastic Surgeons, reported the Economist on its Jan. 31 edition. The British magazine reported that nearly 14 out of every 1,000 people turned to the knife in the hope of better looks in South Korea in 2011. In the year a total of 650,000 cases of plastic surgery were performed in South Korea. Greece, Italy, and America followed South Korea in the study with 12.5 people, 11.6 people, 9.9 people choosing the surgery per every 1,000 people, respectively. Venezuela, which produces the most number of winners in international beauty pageants, stayed No. 15 in the chart. Saudi Arabia finished No. 18 in the chart, becoming Arabic world's No. 1 country in the chart. But, South Korea was No. 7 in the total number of plastic surgeries. America topped the chart of the total number of surgeries with 3,110,000 cases performed. The most popular plastic surgery is fat removal or liposuction (also known as lipoplasty). Breast augmentation is also very popular. In East Asian nations of South Korea, China, and Japan rhinoplasty is the most popular form of plastic surgery. on the strength of its growing economy. One in five women in Seoul has gone under the knife. There are some 430 plastic surgery hospitals and clinics in the posh area of Gangnam in southern part of Seoul. In recent years foreigners started joining in the rows of patients in pursuit of aesthetic perfection. Droves of Japanese, and particularly Chinese, arrive in South Korea, taking advantage of the geographical proximity. The foreign tourists visit plastic surgery clinics in Seoul's Gangnam area to have a quick nip or tuck. They enjoy a little shopping or sightseeing before they head back home prettier. For many of the clinics clustered in Gangnam the number of foreign clients increases some 20 percent annually. South Korean authorities have been very active in attracting foreign medical tourists to the nation. The increase in the number of foreign medical tourists is also due to the "Korean Wave (韓流)," a term coined by Beijing journalits to refer to the popularity of South Korean entertainment and culture. "Many of our foreign customers want to look like K-pop stars or Korean actresses," said Dr. Ryu Sang-Wook, the medical director of Grand Plastic Surgery Clinic near Apkujeong Station in Gangnam. "Recently the rates of foreigners are increasing," Dr. Ryu added. "They come from as many as 22 countries"
"Many of them are Asians though," Dr. Ryu said. "They are on the sharp rise"
Currently over 80,000 medical tourists visit South Korea from abroad yearly. The South Korean government aims to increase the number to 400,000 by 2015.